Not your ordinary sleeping bag! 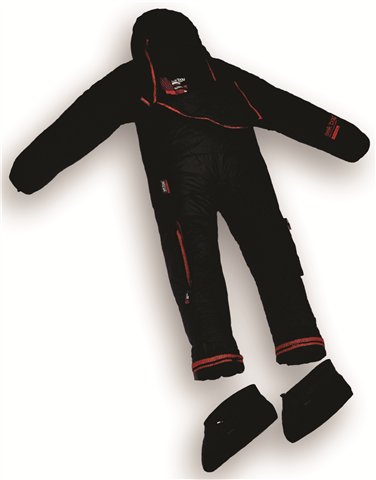 The Patagon by Selk’bag is a “sleepwear system” – sort of like a sleeping bag with arms and legs and then some. Practical features such as detachable booties and Velcro straps that allow you to roll up and secure the sleeves, facilitate freedom and mobility. While the upgraded insulation material, outer shell, and anatomical fit ensure you’ll be toasty warm even on the chilliest camping trips. A fun, unique way to stay warm while enjoying the outdoors.